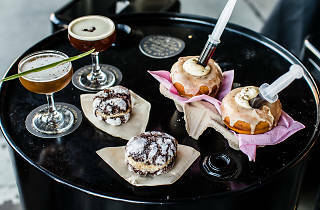 After a sell out debut last year the Overseas Passenger Terminal will once again play host a three-day festival centred around the city's major thirst for coffee cocktails. 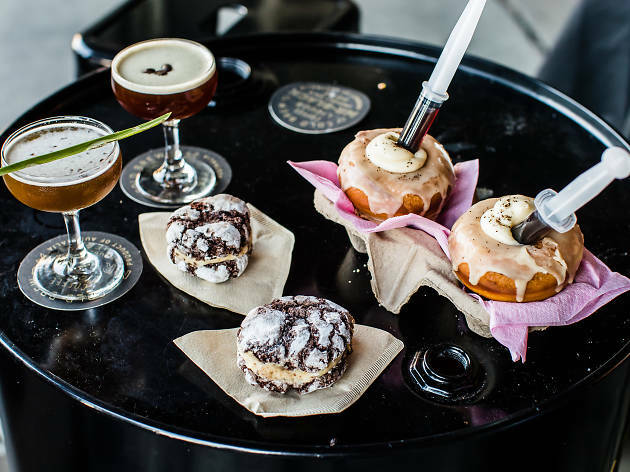 This year they are broadening horizons a bit – changing the name from the Festival of Espresso Martini, to Caffeine Festival – to encompass the festival's greater approach to fine food, coffee experiences, craft spirits and of course, caffeinated tipples. The masterminds behind this event are the crew at Mr Black Spirits, a Melbourne-based distillery and coffee roasting house, and the festival will include coffee from ace Australian roasters, a cold brew bar, masterclasses and tastings. Salumi and fromage pros Salt Meats Cheese and fried chicken purveyors Johnny Bird will be on doing food, and after you can head to a DIY dessert and ice cream station. The festival also conveniently coincides with Vivid Lights so your drinks come with a spectacular side of colourful projections. Tickets go on sale 9am Thursday April 5 and last year they sold out damn quick.